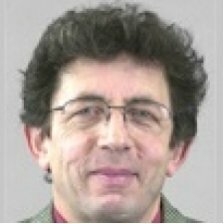 Chair of PIARC Technical Committee "Road Network Operation and ITS"
Dr Jacques Ehrlich is Research Director Emeritus of IFSTTAR (France), Doctor on Electronics and Telecommunication of Telecom ParisTech. After a first experience in the telephony Industry he joined the Physics department at LCPC (the former name of IFSTTAR) and co-founded the LIVIC, a research laboratory on Autonomous Vehicles and was its director until 2014. Since 2012 he is the chair of the Technical Committee B.1 on “Road Network Operation and ITS” where he promotes the concepts of Low-Cost ITS and of High Quality of Service Highway (HQoSH) on which Autonomous Vehicles can drive safely. His research interests are autonomous vehicles, cooperative systems, test and evaluation, electronics and computer sciences and his current work is focusing on testing multiple Connected and Autonomous Vehicles in complex traffic environment using reduced scale vehicles and infrastructure.